I've long been longing to see more of our guiding territory. 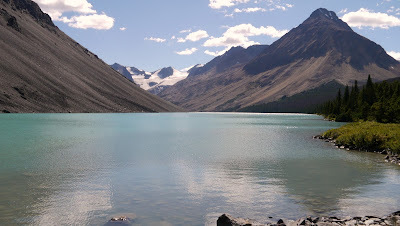 It was like a fast spreading infection, the more I got to see new places in the South Chilcotin Mountains Park, the more my wish to explore it all was spreading. The further away a place on the map was, the more raw wilderness it seemed to promise and the calling to go there one day, by horse or on foot, was growing stronger everytime I looked at the map. That being said, I'm sure you can imagine how excited I was, when I was asked to go on a mission with one of our experienced guides a few weeks ago. I finally had the chance to see more of our territory! The 'mission' was to set up one of our camps – Tyax Camp – for a group of guests who had booked our camp. Tyax Camp is nestled in the 'heart' of Tyaughton Creek Valley closely located to the creek, which gives the valley it's name as it is winding it's way through the valley until it merges into the Bridge River at Carpenter Lake. There is a limited number of options to get to this camp. One of them being a 12 to 13hour horseback ride from the ranch, which we usually tackle into two days, staying overnight at Spruce Lake. 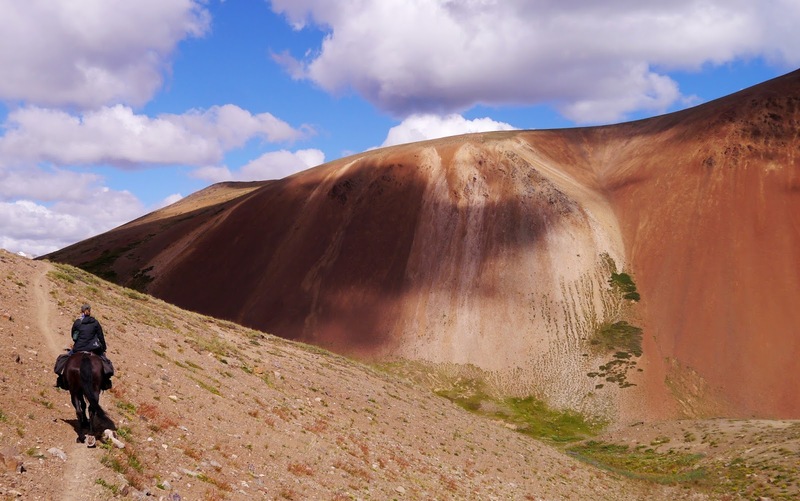 As far as I've heard we used to go to Tyax Camp a lot in the past, but as the trend goes towards shorter pack trips, the long travel time, makes it an unlikely destination. 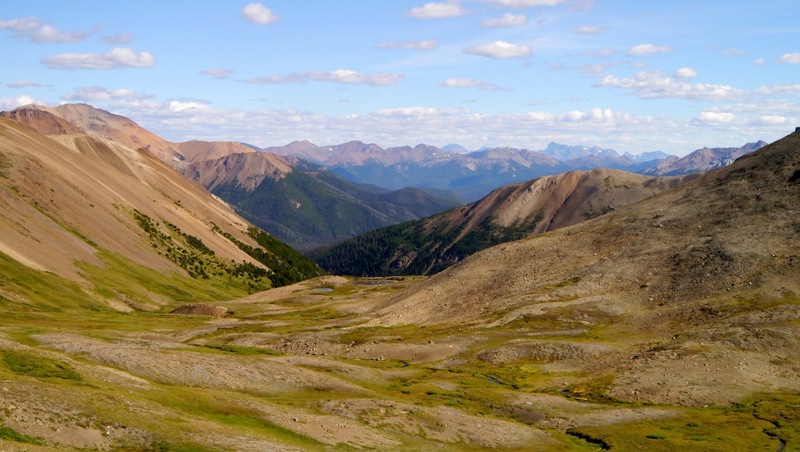 Another option to get to camp is by driving the horses to the Tyaughton Creek Trail trailhead. From there it is possible to reach camp within one day. The backdrop is that the trail doesn't get used very much and therefore doesn't get maintained as much as other trails in the Park. Not being sure, how much the trail had been cleared, we decided against taking a pack horse, allowing for more flexibility in case we had to avoid deadfalls on the trail. 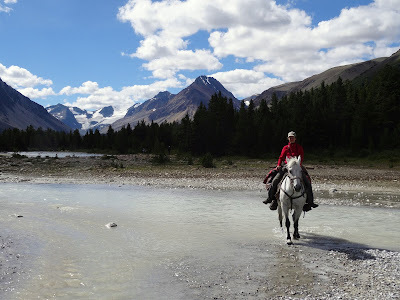 Arriving at the trailhead we started saddling our horses, two experienced mares, who have probably seen every trail, if not every corner of our 5,000 square km guiding territory. Part of our mission had been to bring up four sleeping bags for our guests, so the both of us were fully loaded, with two saddle bags each full of food and personal belongings and one big, but light, duffel containing the sleeping bags in front of us. Us getting on the horse must have looked quite entertaining for the third guide, who had driven us there, but as it turned out, we had made the right decision. A big part of the trail goes along an often steep slope and we encountered several bad deadfalls along the way, which we could easily avoid by bushwhacking our way around them or leading the horses through obstacles, allowing us to move on without wasting much time. If we had a pack horse it would have been a lot more difficult and taken much longer. As we got closer to camp we encountered grizzly bears – a mother with two cubs - twice! The first grizzly bear mom had young cubs, the second grizzly bear had two big cubs, who were probably in their 2nd year. Soon after our second encounter and after an exciting 8 hours ride through lovely aspen patches, flowering meadows along beautiful mountain slopes – feeling, what a true explorer must have felt, after a day of exploration and bushwhacking - my eyes finally beheld the little rustic cabin at Tyax Camp. What a joy! Despite it's small size, it is very cozy and I could easily imagine how it must have been to be a pioneer back in the day, living close to nature in a little hut or cabin like this. We quickly unloaded and unsaddled our horses, who were already feasting on the lush one feet high grass, and prepared the cabin for the night. Having only two horses, we decided to stake them in close approximity. A warm meal later, we slipped into our sleeping bags, tired but happy and speaking for myself - full of great expectations for the next day's adventures.